Think about that for a moment and give your own trading self-confidence an honest rating from 0 to 10 (with 10 being maximum self-confidence). If your rating is an honest 8 or more, then you don’t need to know what I am about to share on how to increase trading self-confidence. But if your rating is less than 8 then I’m guessing you will want to learn how to increase your trading self-confidence and I want to discuss this with you right now. A powerful process you can use at any time. Of course, any increase in your trading self-confidence not only helps your trading but is something your whole family can benefit from too. If your self-confidence is low this not only impacts on your trading in a negative way but may also have negative consequences for those closest to you. So, if you have low trading self-confidence, and this usually impacts your self-esteem as well, it is time to do something about it and not live with the associated insecurity in your trading any longer. You are probably aware that self-confidence is a ‘state of mind’ and not a physical condition such as a toothache (although it does affect you physiologically because you can feel it in your body). This is self-evident when you consider how many physically capable people, such as top athletes, actually have poor self-confidence despite their superb physical fitness. At the opposite extreme there are many highly confident individuals who are not physically fit, or may even have severe physical or mental limitations, but who maintain a high level of personal self-confidence. A confident state of mind is normally associated with positivity, happiness, success, achievement, good stress management and similar related positive emotional conditions. Poor or low self-confidence tends to have negative emotions connected to it and in trading these are often those emotions based on or associated with fear in some form. Since the commonest fear suffered by traders is the Fear Of Losing, this is also often the source for low levels of self-confidence. It can be difficult to feel and act confidently when in the grip of some type of fear. …to mention just a few. These are all affected by your state of mind but learning how to have more trading self-confidence with the ‘6-Steps To Trading Confidence’ process I will teach you can turn things around for the better! Why Do You Lack Trading Confidence? You are not born into a confident state of mind! Self-confidence can be instilled into you, or knocked out of you, by your experiences and your nurturing. You may already be able to identify with some of these causes and there may be many more. You may also be able to directly or indirectly connect one or more of these to your own trading experiences. The answer comes from Neuroscience where research has shown that the brain can be changed by how you think. 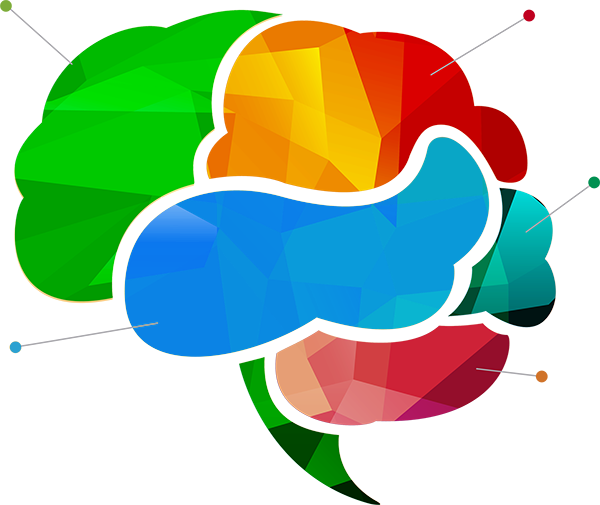 What you think about either creates new brain neural networks or strengthens existing ones. The strongest neural networks are the ones that get used the most; they don’t wear out, they get stronger (and physically thicker). And like electricity in your home, the electrical pulses that move information around your brain will follow the routes of least resistance which in the brain’s case are the strongest and thickest neural links (this is the same as a thick and thin wire in your home, there is less resistance in the thicker wire so the electricity flows through it more easily). So, if you are constantly thinking about how you lack trading confidence then you are strengthening that neural pathway in your brain and making it more likely that it will be followed. If on the other hand each time you feel low in confidence you purposefully change your thinking to more positive thoughts about confidence, then you will create and strengthen a more useful brain network. When you regularly shift from negative to positive thinking about your trading confidence the negative ‘low confidence’ brain pathway weakens while at the same time the positive ‘higher confidence’ one gets stronger. Over time, as the new neural network grows stronger, you will think and feel more confident as a natural state of being and this will help you in your trading and in your life I general. Now you know that the key to gaining more trading self-confidence is by changing what you are thinking about because this also changes how you are feeling and strengthens the more useful brain network. So How Do You Change A Negative Thought Pattern To A Positive One? You can change your thought processes by accessing your previous experiences. Everyone at some time will have done things in a confident way or felt their confidence rise while succeeding in a task and this ‘confidence state’ is recorded in the memory of those experiences. And the great news is you can recall the memories of those experiences in which you felt confident at any time and gain access to the embedded ‘confidence state’. &nbspThink of a time when you did something with confidence. It doesn’t have to be anything massive, even a simple task done well is likely to have made you feel a bit more self-confident. There may be specific examples from your trading where you felt really confident about something such as your setup that turned a good profit or getting out of a losing trade by taking confident positive action. &nbspRelive that confident experience now and remember what you were thinking and feeling at the time. Really remember how it felt to have that confidence again now. Pick another example from the past and relive that to add to the confident feelings you already have. …of trading tomorrow with that level of confidence and become aware now of how good that feels. And feel the confident you again now, as you feel that confidence press the back of your hand with one finger and hold that movie in your mind for a few more seconds. This creates a physical trigger for the confident state you have just created. Next time you are trading and need more confidence, just fire that confidence trigger by pressing your finger on the back of your hand in the same place. Practice this simple ‘6-Steps to Trading Self-Confidence’ process to rewire your brain’s neural networks away from negative thinking and low self-confidence and instead to strengthen your mind’s ability to deliver more trading self-confidence when you need it. 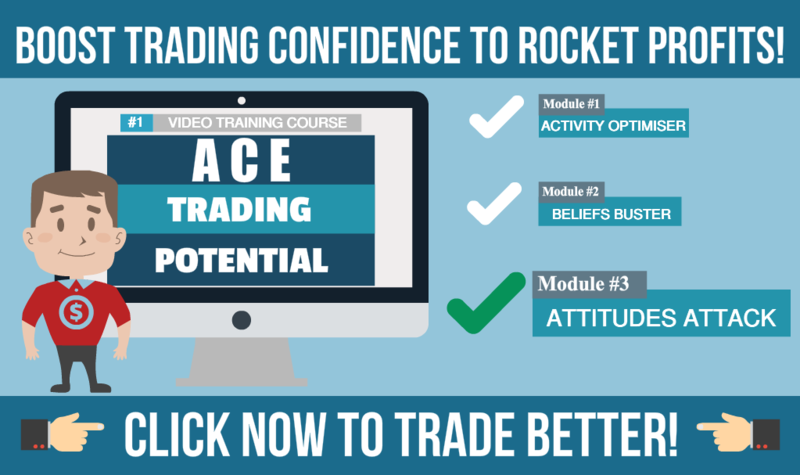 More and more, this easy process will strengthen your trading and overall self-confidence and bring all the other positive benefits having high self-confidence can deliver. You can have more self-confidence in your trading so make that choice now and follow the ‘6-Steps to Trading Self-Confidence’ as often as needed!